HÀ NỘI — Việt Nam’s tea exports dropped in both volume and value in the first four months of 2018, despite a price hike. Low quality and lack of internationally known brands remain the main barriers for Vietnamese tea in gaining a strong foothold in foreign markets. 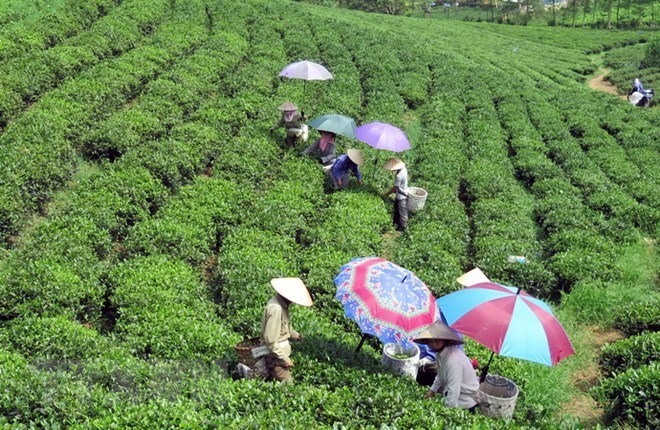 Việt Nam exported 34,000 tonnes of tea for US$54 million between January-April, a decrease of 10.2 per cent and 3.6 per cent, respectively, from the same period in 2017. The price of exported tea in the first quarter averaged $1,546 per tonne, up by 7.5 per cent year-on-year. The main buyers of Vietnamese tea during the reviewed period included Russia, Pakistan, Taiwan (China), Indonesia, the United States, China and Malaysia. Pakistan continued to be Việt Nam’s largest tea importer in terms of turnover. The country purchased 4,060 tonnes, or 16 per cent, of Việt Nam’s total tea exports for a price of $8.45 million, down by 28.9 per cent in volume and 19.2 per cent in value. The decline is the result of a stricter regulation in Pakistan, which now requires an aflatoxin certificate for tea imports. A similar situation unfolded with tea shipments to China and Taiwan, which have also applied stricter regulations. Pakistan was followed by Russia, which imported over 4,170 tonnes of tea for $6.49 million, down by 8.4 per cent in volume, but up by 6.5 per cent in value, thanks to a 16.2 per cent increase in tea prices, bringing the average value to $1,556 per tonne. According to experts, lower demand might have played a part in the fall of tea exports, but the main problems were that domestic exporters paid little attention to improving the quality of the tea, along with an absence of Vietnamese tea brands known internationally. Japan is one of the world’s largest consumers of tea, as the product has a strong cultural history in the country, dating back 100-years. So, Japan is a potential market for Vietnamese tea, although exporting to that country will not be easy. Though Vietnamese tea has made inroads into the Japanese market, it accounts for just 0.5 per cent of the market share. This is largely due to the fact that Vietnamese tea has not satisfied local consumer taste preferences. Plus, a majority of the tea exported is in the raw form, low in quality and value. Last year, Việt Nam’s tea exports to the European Union (EU) surged 24.55 per cent in volume and 40 per cent in value, with exports to Germany posting the strongest growth---82.9 per cent in volume and 169 per cent in value.